Belmont’s fall 2016 semester kicked off today with a record-breaking enrollment number for the 16th consecutive year as the University welcomed 7,771 students to the first day of classes. This enrollment number is 260 percent of its fall 2000 enrollment of 2,976 students. Belmont’s sustained and incremental growth is being accomplished through traditional, residential education. Applications for freshman admissions for Fall 2016 saw a significant increase of 18 percent and resulted in the University’s largest freshman class to date with 1,613 students, eclipsing the previous freshman class record from last year of 1,392. Belmont also continues to be among the top destinations for transfer students as 465 transfers joined the campus this fall. Graduate program applications attracted 633 new students to the University’s master and doctoral programs, also an all-time record. This year’s incoming freshman class hails from 48 states and represents 8 foreign countries, with 79 percent of the class originating from outside of Tennessee. As a group, Belmont’s Class of 2020 scored an average of 26 on the ACT and held an average high school GPA of 3.6. Of those submitting a class ranking, 28 percent were in the top 10 percent of their graduating class, with 59 percent in the top quarter. Belmont’s student body currently consists of 6,347 undergraduate students and 1,424 pursuing graduate/professional paths. 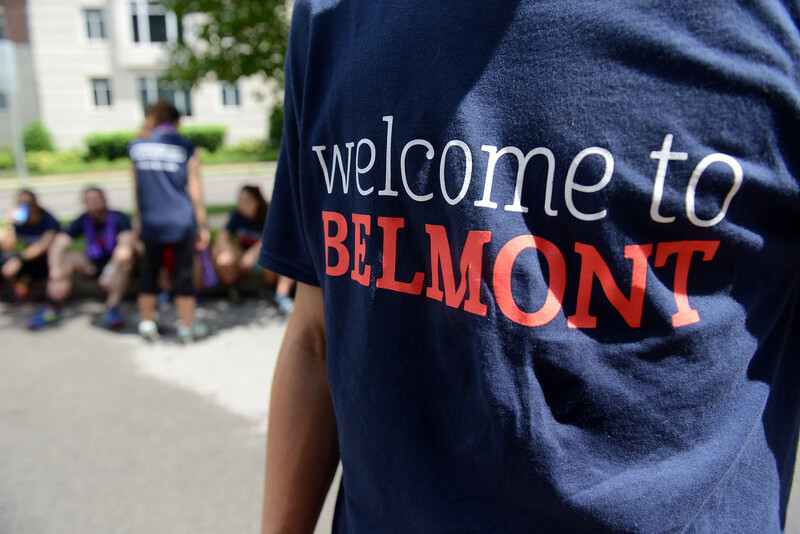 Beyond enrollment growth, Belmont begins the fall with multiple new academic programs as well, including undergraduate majors in Public Health, Global Leadership Studies and Sport Administration, bringing the total undergraduate areas of study to more than 90 programs. Additionally, new graduate programs in Audio Engineering and Mental Health Counseling enrolled their inaugural classes this semester.